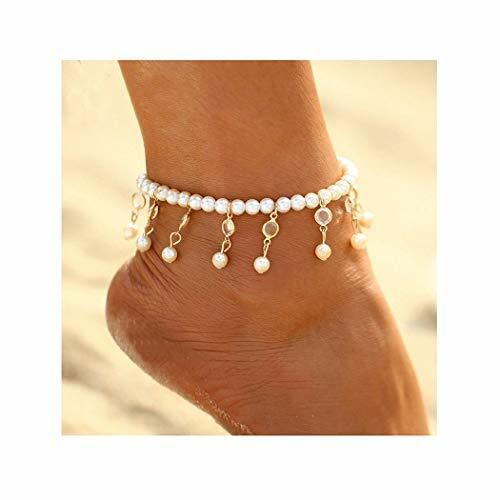 Legend if the anklet to give their loved ones, the next world will be together.The meaning of anklet is:tied to this life, tied the afterlife. 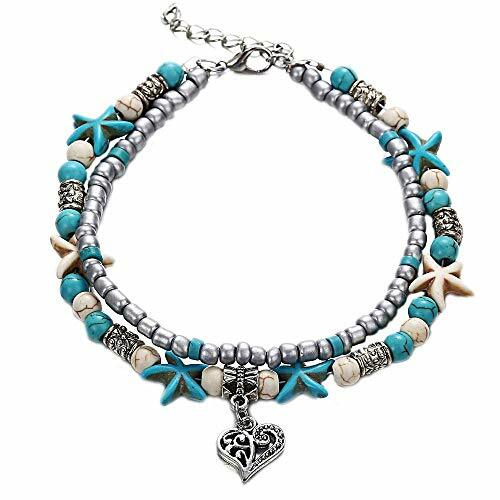 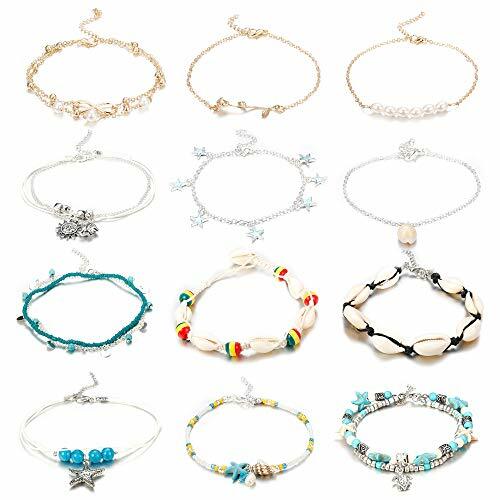 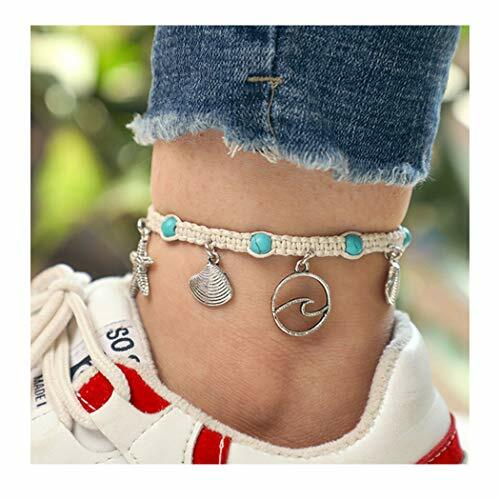 Let your lover or your loved family wear an anklet for you! 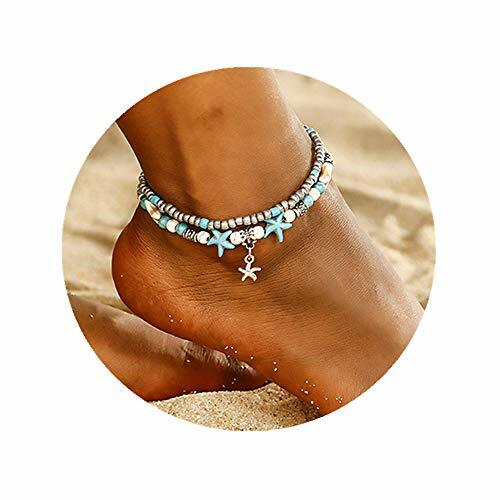 Play on the beach, an anklet feet kicked out of the beautiful scenery on the beach, so you free to play. 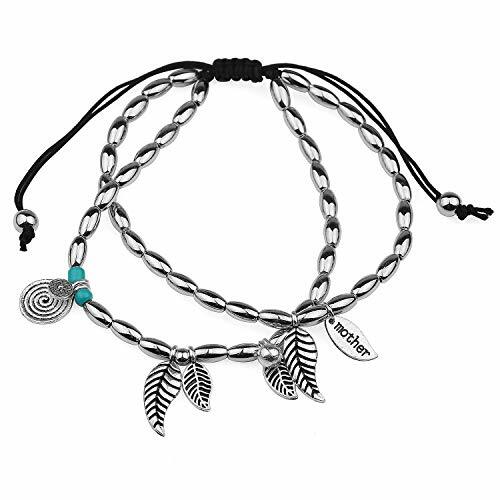 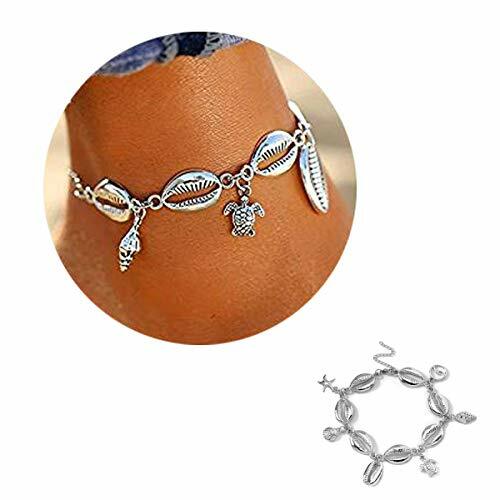 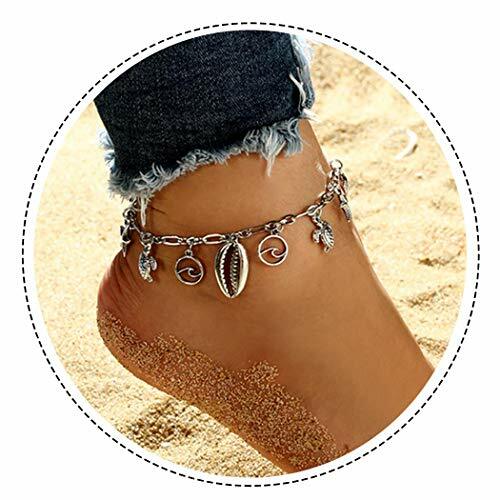 Material:Handmade Charm Simple Elegant Design Anklet is made of Sterling Silver Chain and Sterling Silver Clasp . 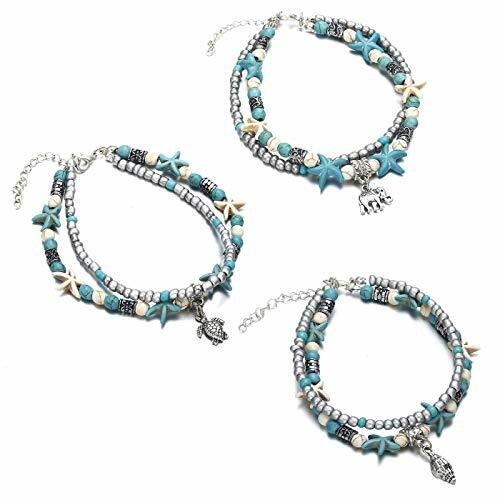 Material: Alloy, Conch, Pearl, Beads. 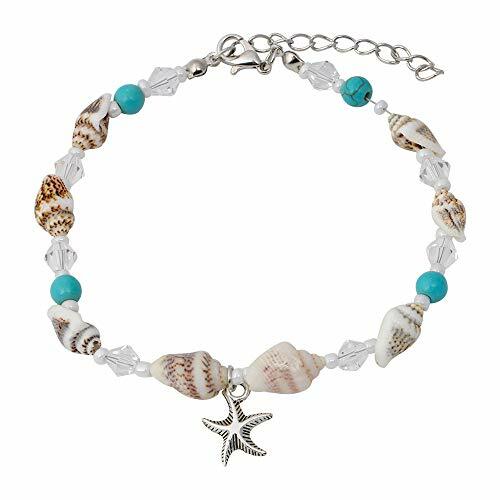 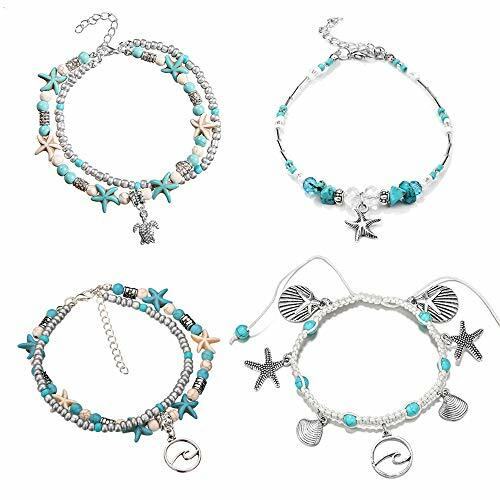 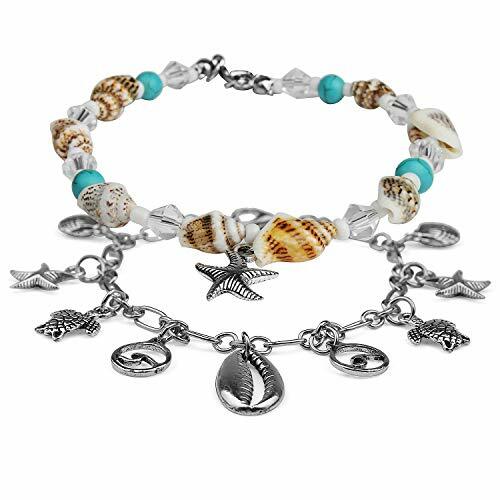 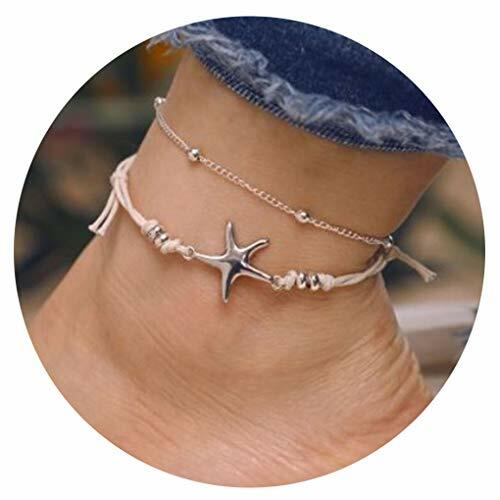 The starfish shell anklet will arrive in a velvet bag ready for giving. 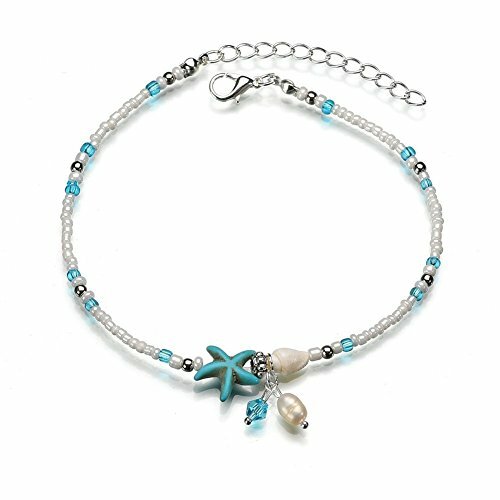 Perfect for Bridesmaids, Maid of honor，Flower girl, Beach girl, Beach lovers or just for yourself. 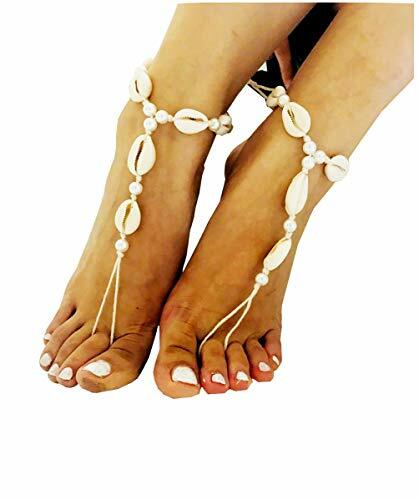 Occasion: Summer vacation, Sand beach sandals party, Summer beach carnival party, Beach weddings, Bridal party, Wedding party, Poolside party, Holiday, Anniversary, Birthday. 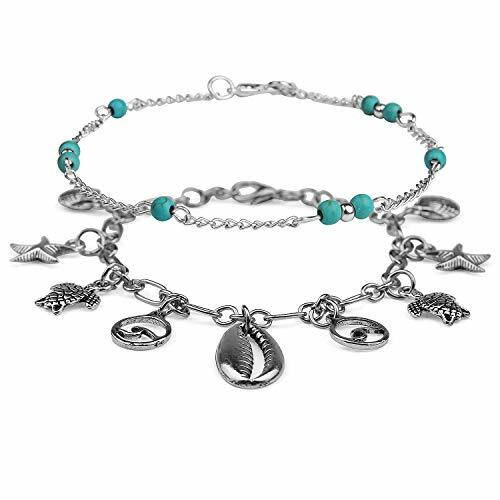 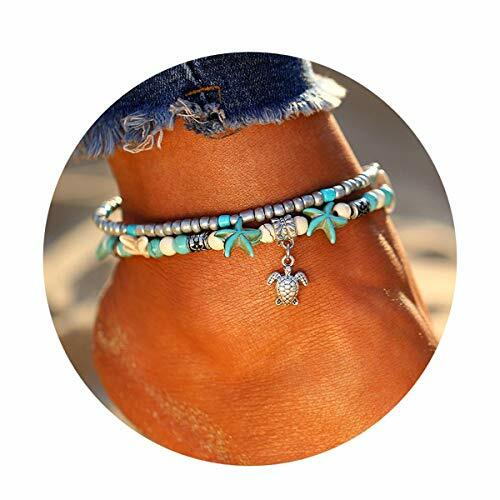 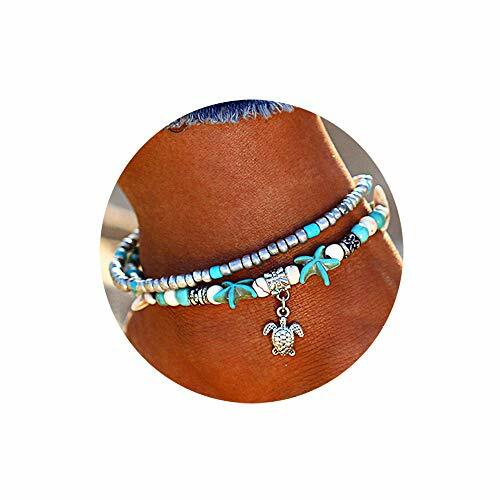 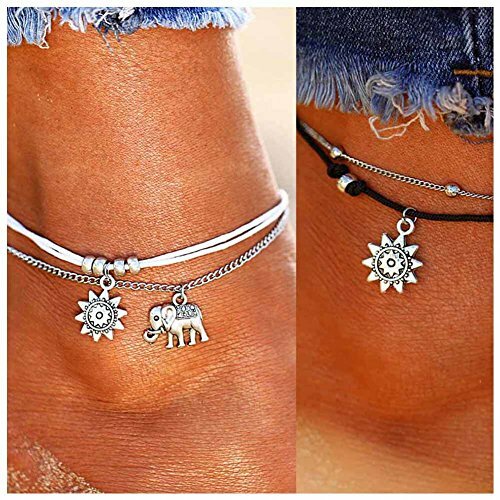 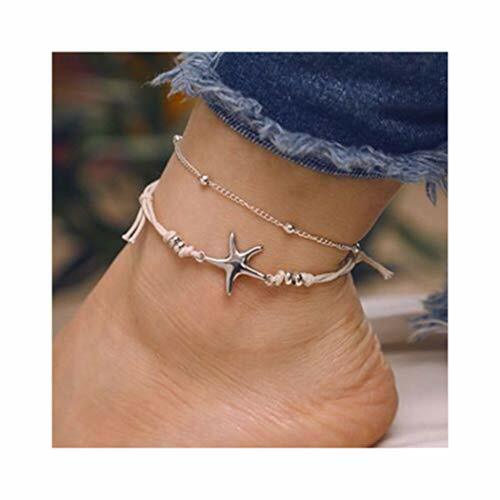 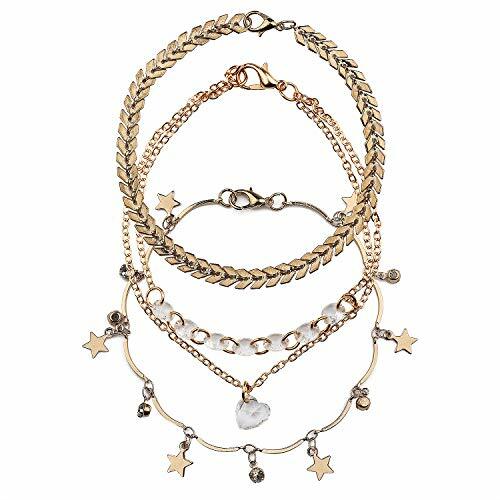 Say hello to summer with this anklet. 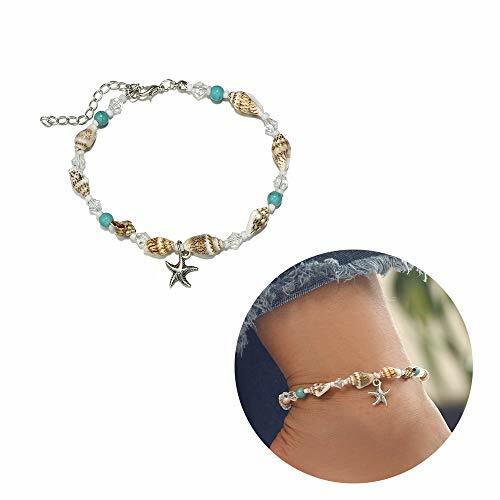 It's a perfect match for the sun, the beach, the waves. 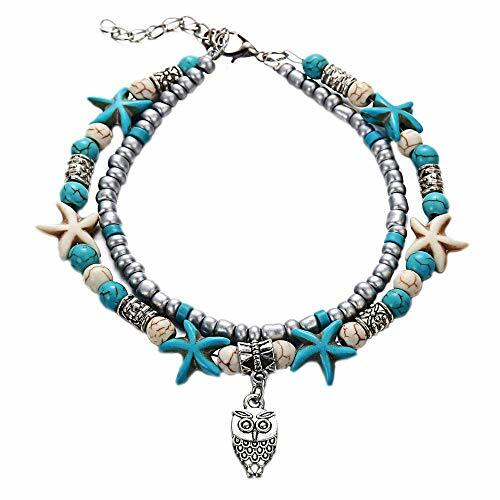 The best choice for summer beach and bikini mix. 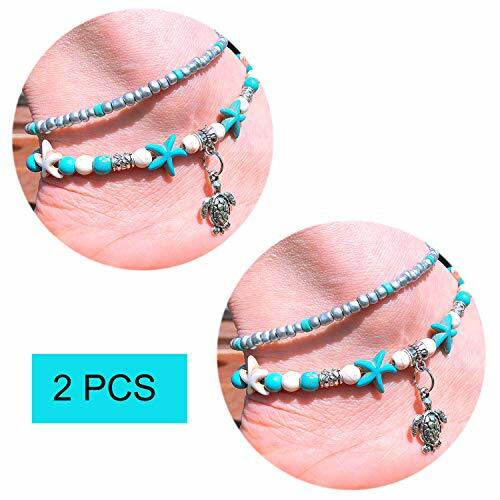 ★Attention: Size may be 2cm/1 inch inaccuracy due to hand measure; Color may be little different due to monitor, thanks for your understanding! 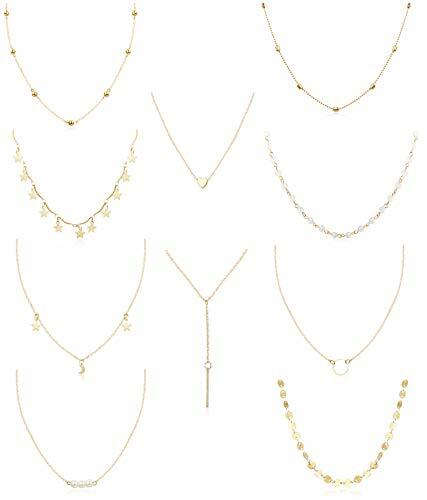 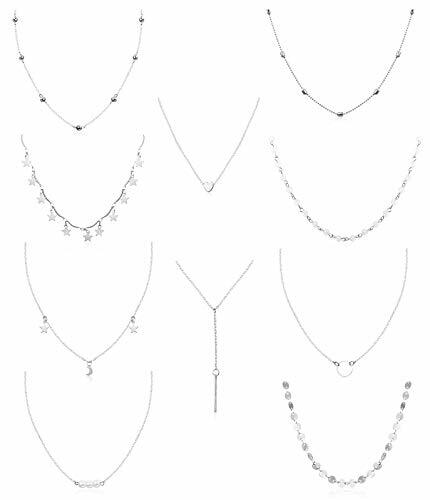 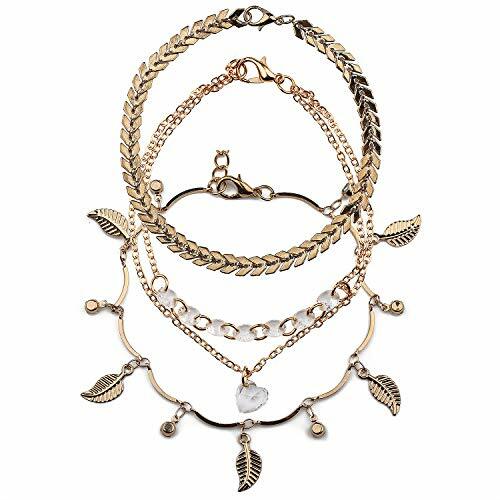 LAYERED CHOKER NECKLACE SET - 10PCS different styles layered necklace one set,white bead choker,heart charm choker,star choker,coin choker,y necklace,circle necklace,pearl charm necklace.Simple and stylish,chic Jewelry for women and girls in summer. 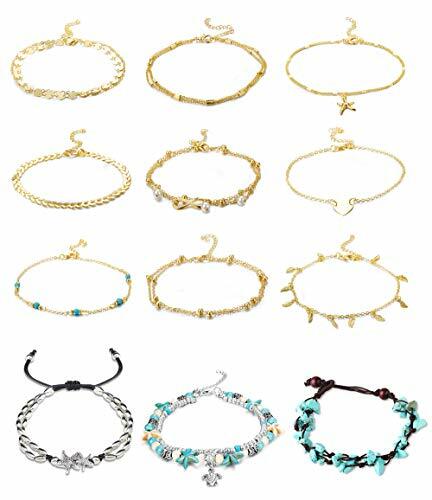 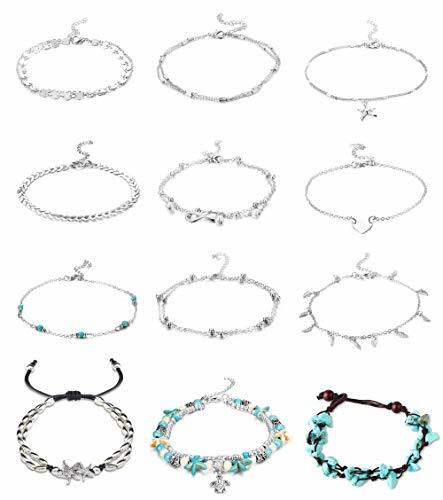 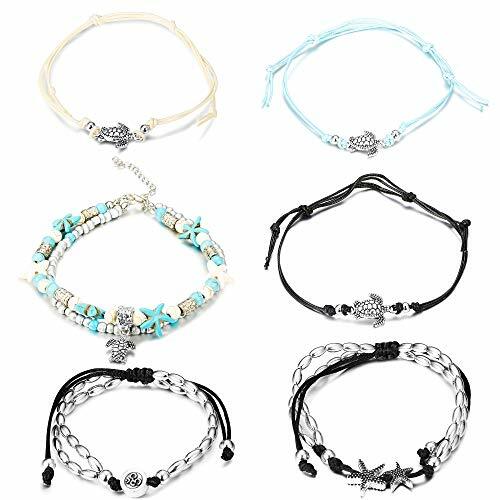 DIY CHOKER NECKLACES - 10pcs single layer choker necklace with different length,match it together with your opinion,show your own style.2"(5cm) extender chain,can be adjusted,flexible and convenient. 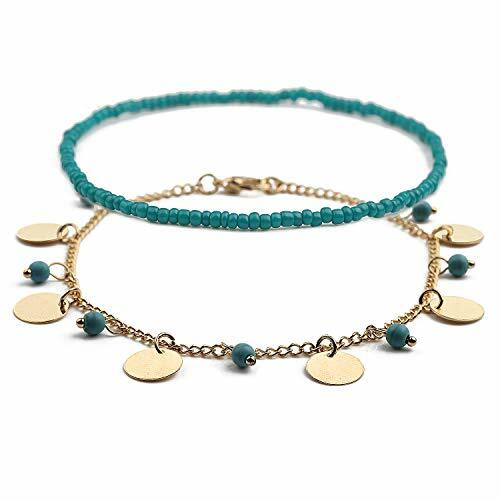 MATERIAL - Made of quality copper with platinum and gold plated,environmental,nickel lead free.Great electroplated finished,durable color for daily wearing.Use lobster buckle,easy to put on and take off. 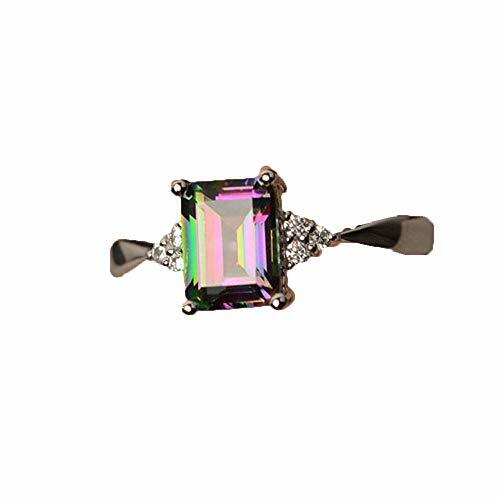 TOTAL INSPECTION - Checked one by one,total quality inspection.Great gifts for Valentine's Day, holiday, birthday,party, anniversary, prom, graduation, Christmas, Mother's Day.